Climate change is a real problem that all of us are aware of but often just brush off. Why? I think it’s because the discussion involves big words and (let’s face it), boredom. At Malagos Garden Resort, it’s a different story! Climate change and environmental awareness become fun topics through their Interactive Bird Show. 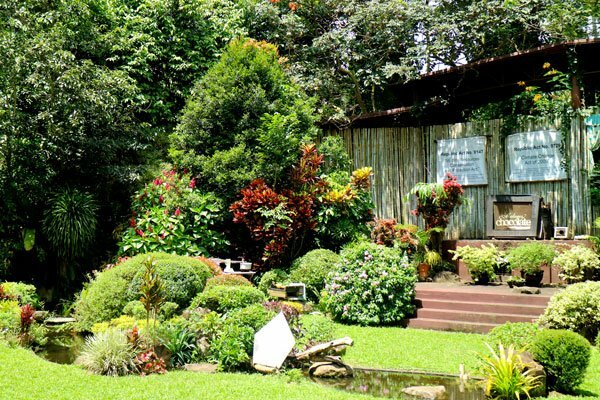 Malagos Garden Resort is one of the most popular attractions in Davao City. Located in the southern highlands of the city, the resort provides a great escape from the concrete jungle. 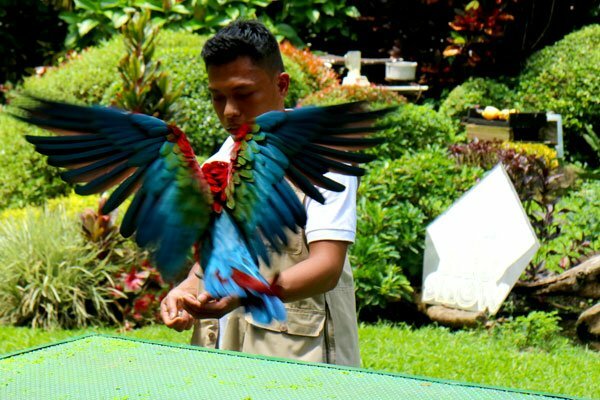 During Sundays, the resort stages the Malagos Bird Show, an interactive show lead by a veterinarian who talks about the resident birds of the garden resort. The Malagos Bird Show is not just a showcase of our feathered friends doing tricks and flying around. Well, of course there are awesome tricks but most of them revolve around important topics like pollution, climate change, social responsibility and disaster management. 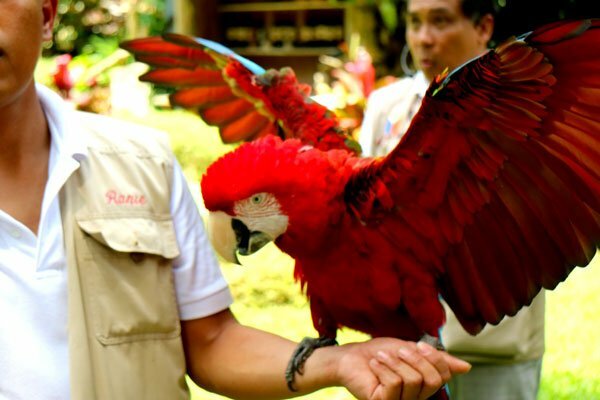 Dr. Bo, the resident vet hosts the bird show, assisted by animal technicians who handle the different bird species and command them to perform tricks like biking, shooting hoops, disposing of garbage, and even saving money in a coin bank! 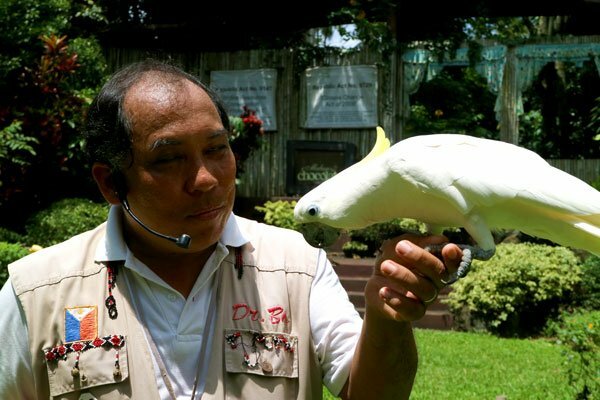 Dr. Bo, the resident vet who also hosts the Malagos bird show. One of the topics discussed during the Malagos bird show is the all-important wildlife conservation. 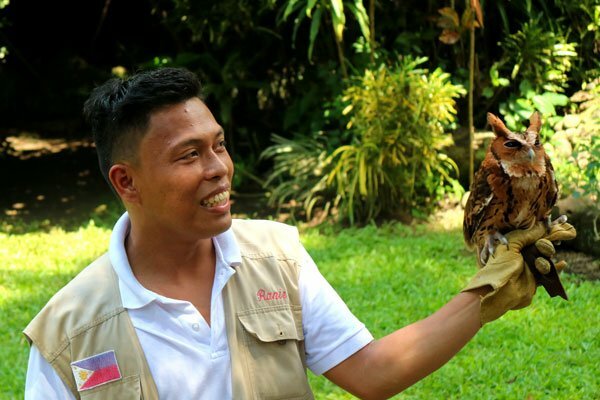 Recent news has reported the shooting of Pamana, a monkey-eating eagle released from the care of the Philippine Eagle Center. The eagle was released back to the wild after treatment from a gunshot wound sustained three years ago. Two months after its release, Pamana’s rotting carcass was found in the forest floor within the Mt. Haguimitan Forest Reserve. Laws passed by Congress are posted at the stage to stimulate discussion. 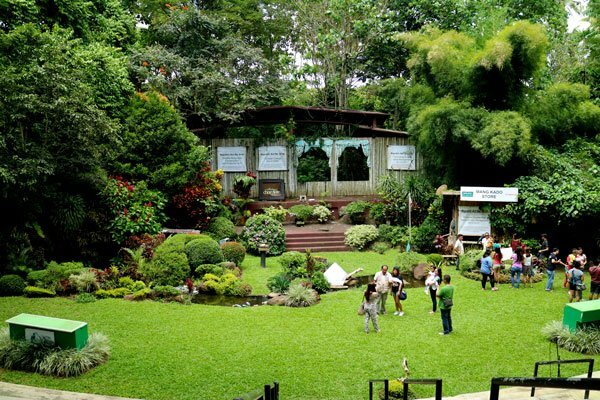 The Malagos bird show emphasizes the importance of conserving wildlife to maintain ecological balance. Dr. Bo explained that the critically endangered Philippine eagles are responsible for keeping the balance and that they must be taken care of along with the other animal and bird species. 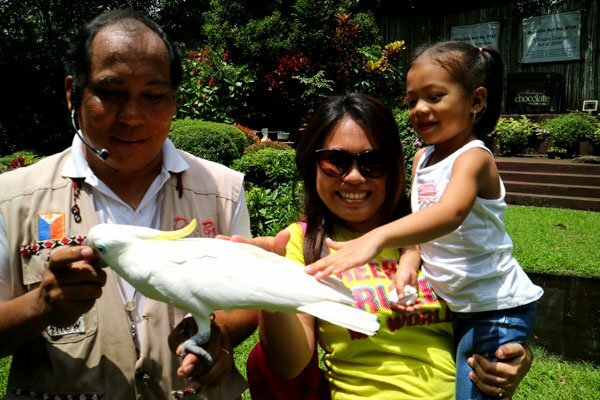 The Philippine Eagle Center is located a few minutes from Malagos Garden Resort. 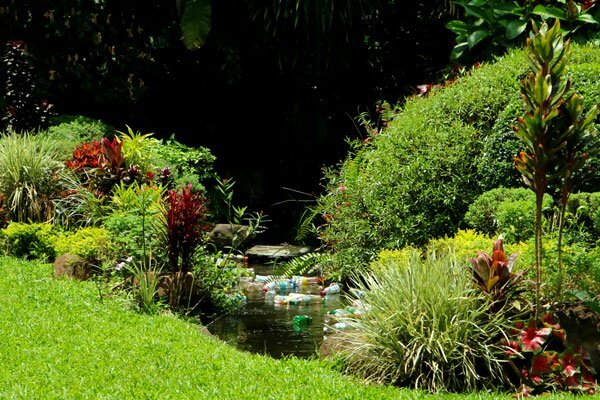 A stream suddenly gets polluted by plastic as part of the discussion about pollution. The Malagos Bird show also opens our eyes to the very urgent issue of pollution and climate change. Dr. Bo explained that birds eat fish and when garbage reaches the sea, the birds think they’re fish. In a very simple way, the Malagos Bird Show emphasized the importance of proper garbage disposal. A blue macaw showing off its fantastic plumage. Issues about extreme temperatures and unpredictable weather patterns were also discussed. Global warming is affecting both humans and animals. The show stressed we need to be more aware and proactive in planting trees and conserving resources that are slowly depleting like clean water and air. Animal technician holding up a sleepy owl. Disaster in the Philippines result to massive loses in human life and property. The Malagos bird show discusses how proper information dissemination and a functional early warning and evacuation plan are vital in saving lives during calamities. Red macaw flaunting her wingspan. All these issues and lessons are taught through role plays starring birds of different species like owls, doves, macaws, even ducks and an ostrich. Truly, the Malagos bird show is something all of us, not just children, should see and learn from. It’s a show that allows one to interact with the birds and participate in the discussion.Experience it every Sunday, 10:30AM at Malagos Garden Resort. Adie and I interacting with a bird after the show.